A Central Connecticut State University police officer was fired as a result of sexual assault allegations made against him following a lengthy investigation conducted by the university of the police department. Officer Curtis Lollar was fired on Sept. 21 regarding the accusations. Based on the review of Lollar, Assistant to the President for Safety Bernard Sullivan recommended that the administration “make every effort to keep Officer Lollar from returning to the department due to the nature of his behavior as determined by the investigation conducted by Shipman & Goodwin LLC,” according to an email sent to all actively enrolled students and staff. There is not enough information to file a criminal case against him, according to President Dr. Zulma Toro. Sullivan spearheaded two investigations relating to the police department: one directly pertaining to sexual assault allegations against Lollar and the other pertaining to the functionality of the police department. Sullivan was first brought in in June after a four-month investigation by an external Hartford law firm uncovered a “fraternity-like environment” in the CCSU police department with “relaxed professional standards,” according to the police report. “Sullivan’s comprehensive review of the CCSU Police Department corroborates the independent investigator’s findings that a culture of unprofessional and disrespectful behavior existed within the department, discipline was lacking, and that there were deficiencies in staffing, hiring, and budget,” the email states. 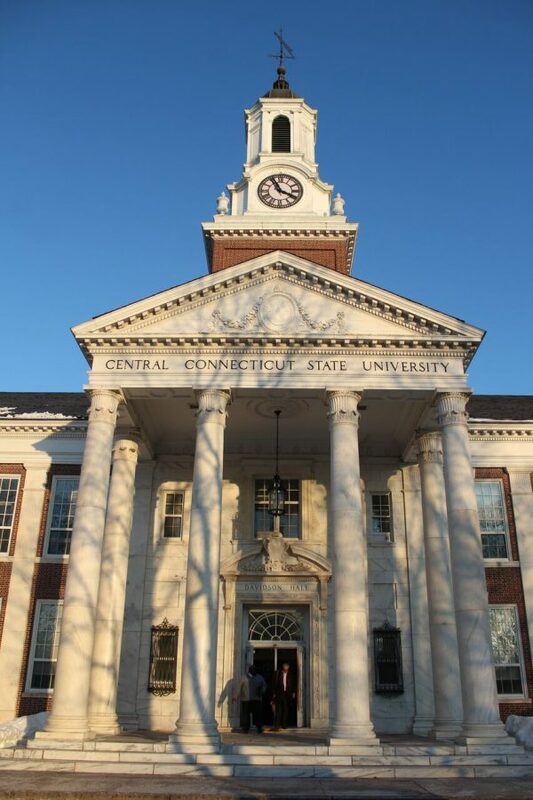 Following the investigation, the review of the CCSU Police Department prompted changes in required training, policies, procedures, staffing and budget, the email states. Other changes, according to Dr. Toro, include the hiring of three new officers to join the police department in early Spring, the hiring of three new sergeants and the addition of five to six students through the student cadet program. “You’ll see more presence of not only officers but students working in the police department,” Dr. Toro stated. There will now be 18 to 19 student cadets working in the police department. As far as current and new police officers, the university is “providing them with education and the training they need to handle sexual assault and harassment cases, cases related to Title IX,” Dr. Toro informed. Former Chief Administrative Officer Richard Bachoo was placed on paid leave following his involvement in the sexual assault case in the police department, which was originally reported in 2016 according to police records. “I cannot anticipate how long it will take. I am trying to expedite the investigation because that’s what I have asked the investigators, but all of these things take time and maybe that’s my main disappointment in the whole process [how long things take],” she continued. Students filing complaints to the university’s police department will not have to endure any changes. “That process will not change. What will change is the knowledge of the officers in terms of how they handle those cases,” Dr. Toro said.